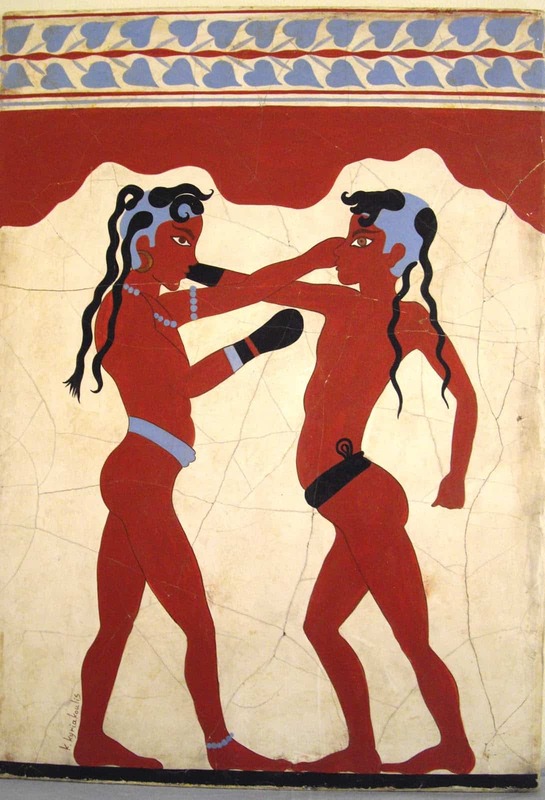 “The Young Boxers” is a mural, crafted with the technique of fresco painting, which decorated the southern wall of the room B1 of building B of the prehistoric settlement of Akrotiri. The mural has a height of 2.75 meters and width of 0.94 meters. 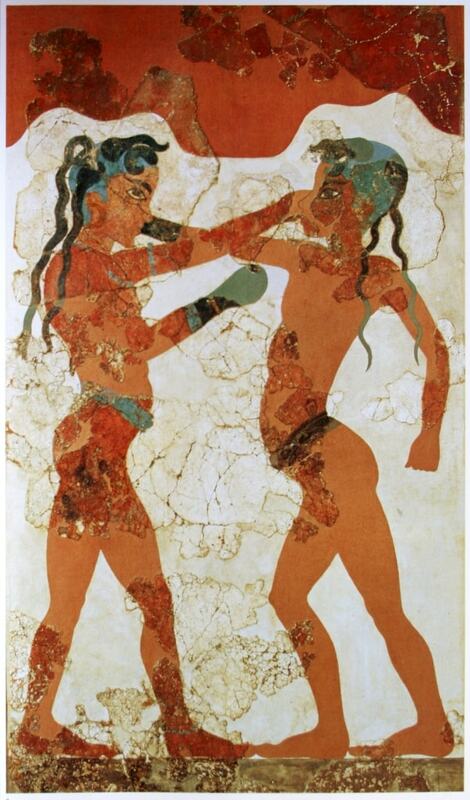 Two young children, probably between 6 and 8 years, boxing. Children wearing only apron. The objects are rendered with red color. The right child seems to be younger than the other. The left child is adorned with a necklace, perivrachionio with precious stones blue, anklet and wearing golden earring. In their right hand wear gloves (boxing gloves) and have a shaved head but two major strands that hang on the back and two smaller high above the forehead. Spyros Marinatos had already considered that wore blue caps, but in combination with other paintings, as with Krokosyllektries, it is assumed that blue depicted the shaved head. The difference in the adornment of two children has been interpreted as an indication of a different social status, although it has been suggested that the left child is female. The background of the mural is white and red, probably showing the earth and the sky.